The Bovee 1000 is a plug and play Bluetooth music adapter designed for original Audi/BMW/Mercedes/VW factory fitted 30 pin iPod kits as well as aftermarket in car iPod integration. Wireless technology powered by CSR BlueCore5 Bluetooth module enables it to communicate with Apples iPhone, iPod Touch and iPad. Instead of manually plugging the iPod into the connector every time you enter the car, you instead connect the Bovee 1000 to the original iPod 30 pin connector. 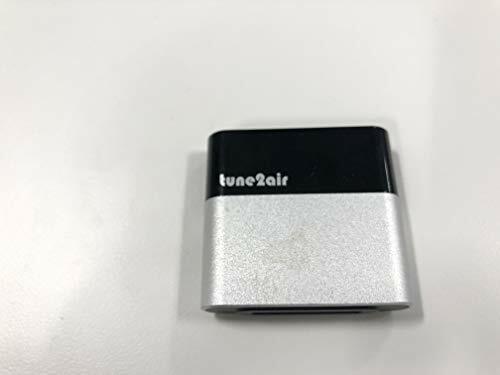 The device is then left in the car permanently connected to the original iPod cable. Once Bovee 1000 is paired with your iPhone/iPod, every time you enter the vehicle the Bluetooth connection will be established automatically, meaning that your full music library will be instantly accessible on your in car iPod interface, without having to remove the phone from your bag/pocket and manually plugging into the cable. Please Note: The device will work with most Audi/BMW/Mercedes/VW Cars that have 30 pin iPod integration kits. The easiest way to know for sure is to plug an iPod or iPhone into your car. If it works then one of our devices can usually extend your iPod integration with Bluetooth capabilities. Only compatible with cars that have 30 pin iPod integration installed or have a 30 pin iPod adapter. Steering controls and library support is only compatible with Apple devices. Streaming is compatible with all Bluetooth capable smart phones. Disclaimer: Due to variations in the entertainment systems of different car models and production years compatibility is NOT ensured. Trouble Shooting: 1. Unplug the device from your cars iPod integration. 2.Clear (forget) the device from iPhone after the phone has connected with device, then turn off the Bluetooth of the phone. 3.Restart the phone; do not turn on the phones Bluetooth upon restart. 4.Plug the device back in and wait for the blue light to start blinking. 5.Turn on the Bluetooth of the phone and pair it with device from the beginning.